If you’ve been out of high school for a while, chances are you’ve forgotten the sense of novelty and discovery that accompanies your first glimpse of the 9-5 (or 10-7 if you’re an engineer). 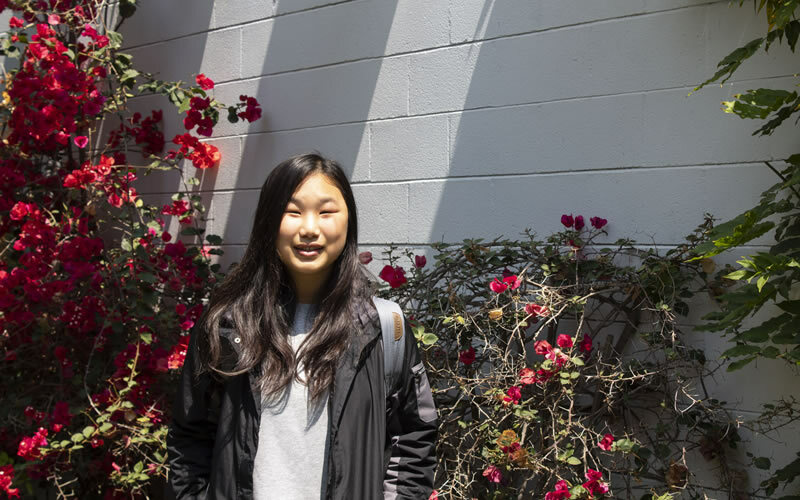 Bringing us back, Jenna Liu is a recent high school graduate and two-time Future Grads participant interning at sf.citi member company AdRoll for the second summer in a row. During her first summer, Jenna started out in AdRoll’s Account Management department, but asked if she could assist the Solutions Engineering team to better align with her interests in computer science. This summer, she is working as AdRoll’s Information Technology (IT) intern. While the learning curve has been steep, Jenna moved fast in mastering some of the nuances of working in a major tech company’s IT department. Many of the things that most surprised Jenna about her Future Grads experience at AdRoll serve as healthy reminders that the tech work space and culture, like the industry itself, doesn’t always conform to traditional office norms. Here’s a fresh take on what it’s like to work in tech. Q: What has been the most surprising thing you’ve learned so far during your Future Grads internship? JL: Last year, I was really surprised to see how closely the teams work. Like actually physically close because the desks were moved together with one team having all their desks close together in one area. It also really surprised me how much they value communication and cooperation amongst the teams. And even the questions—the interview questions—they were really to know how you fit in with the company culture in addition to knowledge questions. I would have expected more questions about how much you know. But they were actually pretty evenly split. Q: What has been the most challenging aspect of your Future Grads experience? JL: The fact that I know nothing about IT. You would expect to know some basic hardware or software before coming into this because usually internships are for college students, so they would have taken classes to know this stuff. But I just went in and was like, ‘What is an HDMI cord, or ethernet?’ I didn’t even know what they all looked like. You’ve always heard of these terms, but you’ve never known what they looked like. And then there is dealing with tickets—basically troubleshooting people’s computers, or helping people with problems that arise from computers or digital devices, or conference rooms, and so on. I didn’t know how to do any of that. Q: Do you feel like the work has gotten easier? JL: I actually do know what all the cords look like now, after seeing them several times. I know what some acronyms mean—there were a lot. I do know how to deal with some tickets now, especially how to use the apps that they use, like Zendesk, or Jira, or Jeff, or Okta. I guess this what they call adapting. Hands-on experience is really important for this type of field. Q: What piece of advice would you offer to other students who want to make the most of an internship at a tech company? JL: Don’t be afraid to reach out to people. I guess that’s why they say networking is really important in the tech industry. Just know that if you never ask, you’re probably never going to even get the opportunity. Don’t be afraid to talk to new people, especially if something interests you and they’re really into it. And you may be able to make a new friend along the way. Q: Has your Future Grads experience given you any idea about what you might want to do later in your life? JL: This summer has been pretty influential because I used to think that I just wanted to take coding and computer science. It made me realize that there’s much more to the tech field than just computer science. I definitely want to expand my views on people being web developers or software engineers to other occupations. I am interested in working in an IT team, maybe, in some years from now because it’s been such a fun time working with them this summer. Jenna struggled to find one word that adequately describes her Future Grads experience. “Amazing,” was the closest she came, though she felt that even this high-praise term did not capture the many gems of wisdom she gleaned under each of AdRoll’s teams. True to its name, Future Grads has certainly paved the way for Jenna’s future, not least because of AdRoll’s longtime participation in the program. 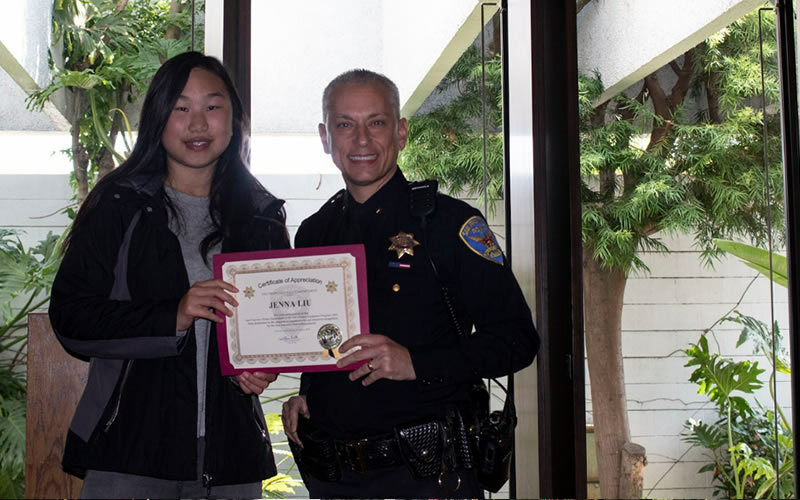 We encourage other sf.citi member companies to continue the Future Grads tradition of opening their doors to our local community and future workforce – learn how here. Jenna Liu graduated from Lowell High School and will be attending the University of California, Irvine in the fall of 2018. She is a second-year Future Grads participant.